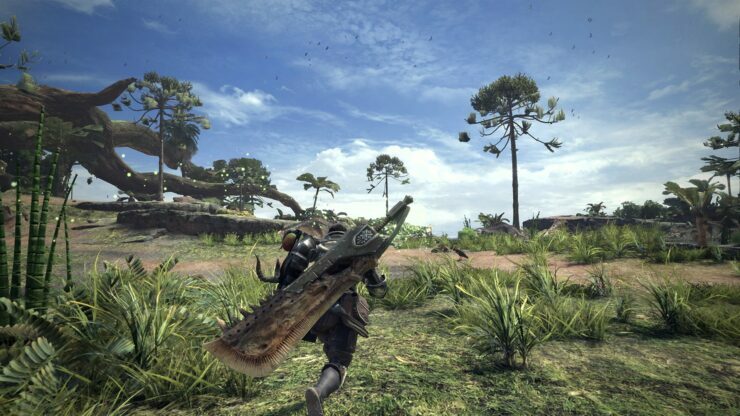 Monster Hunter World was arguably among the most exciting announcements at E3 2017, particularly for PC gamers, since it’s the very first installment in the popular franchise they’re getting. Due for release on PlayStation 4 and Xbox One in early 2018, the PC version will be a bit late. In an interview with VG247, Capcom’s Producer Ryozo Tsujimoto explained that the development team will use the extra time to meet the needs of those with “super high-spec rigs” while making sure a broad range of hardware is supported. Yeah, it’s… as you said, it’s just a resources and manpower issue. We’re developing the game with our internal Capcom team in Osaka – the Monster Hunter team. We haven’t really put out that much on PC before that’s been developed internally, so we’re just asking for a little bit more time on the PC version so we can bring you a more optimised, fine-tuned version. Other than that, you can see that our strategy is for the other versions to release everything in the same time, in the same launch window, worldwide. This is the first time ever for a Monster Hunter title. There’s no wait in between the Japanese version and the Western one – we just need a little bit more time to get the PC version done right. Yeah – that’s what we need that extra time for – to see how much we can do with PC in terms of meeting the needs of both players who want to go with their super high-spec rigs but also we want to support a huge variety of hardware. Everyone’s got their own custom build on PC, and we’re going to look into what we can do to ensure the PC version is as optimized as possible. Considering that the game runs on Capcom’s MT Framework, it’s likely that Monster Hunter World will support high refresh rate on PC. Tsujimoto also confirmed that the developers are keen to provide post-launch support with lots of content.